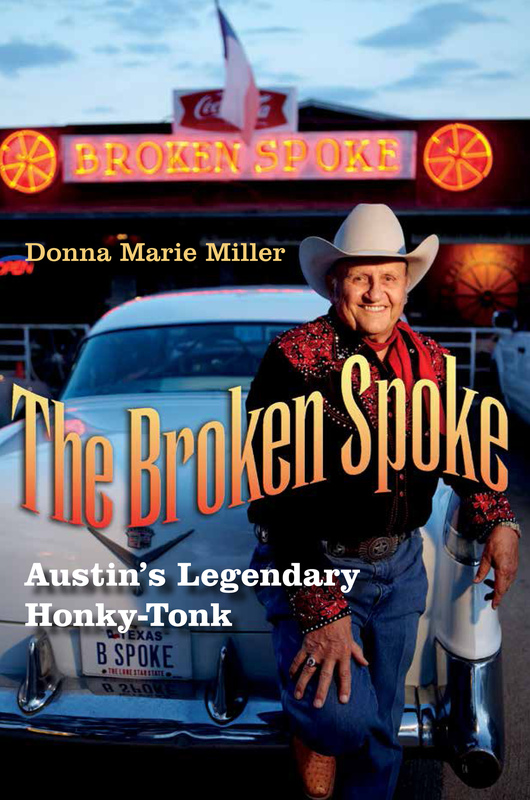 Real estate agent by day, Janie Quisenberry donned a red and gold-fringed western outfit, boots, and a cowgirl hat one cold January night to sing again beneath spotlights on a southwest Austin honky tonk stage. Quisenberry and other part-time local country stars – all senior citizens – left behind day jobs or retirement Jan. 21 to perform at the Broken Spoke on South Lamar. Until midnight – on a weeknight – they yodeled and crooned before hundreds of aged fans to honor the late Texas Swing Hall of Fame great Don Walser at his fourth tribute and reunion since he died in 2006 at the age of 72. Walser didn’t cut his first album, Rolling Stone from Texas, until he was 61 years old and a local talent scout “discovered” the country singer and bit actor who had retired from the National Guard and moved to Austin in 1994. One of Walser’s biggest hits, “John Deer Tractor,” Brennen Leigh sang for him that Tuesday night. All of the musicians who came out on a week night shared stories or sang some songs Walser once did in the style of Bob Wills and Jimmie Rodgers or other traditional country music stars. felt the power of his song. he brought us together as one. There’s no bigger voice in Texas. Cleaves, who also plays guitar, may be the only guy who can yodel anywhere near the Don Walser artistry, Kalish said. Fiddler Chojo Jacques from Dripping Springs played a duet with Cleaves on stage as part of the tribute. “Many years ago, when I was just starting out I played an opening set for Don Walser and the Pure Texas Band. I was just a solo act at the time, and my songs were all of the tragic folk variety. Don said to me after my set, ‘Slaid, you sure do know how to make ’em cry! But you need to learn how to make ’em laugh, too.’ Don saw that I was interested in and influenced by the country music of his generation. And I got the feeling it warmed his heart that someone 30 years younger was keeping a bit of his music and his memory alive,” Cleaves said. Carl Hutchins sang “Cattle Call,” and “Don’t Worry About Me,” two songs that Walser used to sing often at the Broken Spoke. The band also performed “Whiskey River” and other classics of country music. Fiddler Howard Kalish and legendary bassist “Skinny” Don Keeling performed with Walser for more than 14 years and played together at the Broken Spoke for the first time in 1991. Quisenberry said she first met Walser in 1984. One day Walser walked into Quisenberry’s office with a few cassette recordings of his songs in hand. At the time Quisenberry tried to interest her connections in Nashville into buying Walser’s songs. Kalish said anyone who sings Walser’s songs has a hard act to follow. “It’s kind of intimidating to tell people, ‘oh here’s a Don Walser song that you need to sing like Don Walser,’ you know. If it’s ‘Waltz Across Texas,’ it can be sort of scary. He was one of the best singers,” Kalish said. Some Walser fans have been dancing at the Broken Spoke for the past three decades including Marcia Koch and her husband of Bastrop. A lot of the people in the audience at Walser’s tribute, Kalish remembered seeing 20 years earlier dancing on that same dance floor. “Going by, I thought ‘oh hey, there they are,’ you know?” Kalish said. Keeling said seeing those older couples brought back a lot of memories. He said the band members knew regular singles who met on that dance floor and became romantic couples. In the early years, Walser became somewhat of a wedding singer for his large fan-based following. Kalish together with fiddler and singer Jason Roberts Jan. 21 used hand signals to alert Keeling to chord changes and key signatures for songs they performed; they gestured with two or three fingers held to their chests as the band started songs in each set. Keeling said he learned to play by ear on both guitar and stand up bass, which he played for 20 years before switching to electric bass. After graduating McCallum High School Keeling performed as a freelance musician playing bass in various local bands in the late 1950s including Jimmy Martin, considered the king of bluegrass and Martin’s Sunny Mountain Boys of Tennessee. Keeling played bass with Charlie and Ira Louvin of the Louvin Brothers band. The Louvin Brothers, opened for late great stars such as George Jones at Hilltop Inn and Elvis Presley first at Dessau Hall in Pflugerville and again in the Louisiana Hayride at Houston City Auditorium in the 1950s. For a short time, Keeling also played with High Noon, a rockabilly trio. By the time Keeling joined Walser’s band in 1989 he had gained a name for his style of “walking the bass,” a chord progression that rises and falls in pitch over several bars, in quarter note movement, by holding two, three or four beats. It’s a sound that forms the heartbeat of any good country song. Kalish and another Walser band member, piano player Floyd Domino, taught Keeling how to perform a few baseline riffs “back in the day,” Keeling said. Walser and the band played at the Broken Spoke regularly until his diabetes made him too ill to perform in 2003. During the 1960s Walser called his band, The Texas Plainsmen. They didn’t become known as the Pure Texas Band until the 1980s. Walser gained attention for the hit “John Deer Tractor,” a song off the Rolling Stone From Texas album produced in Austin by Ray Benson of the Asleep at the Wheel band on independent label, Watermelon Records. The Austin Chronicle voted Walser “Best Performing Country Band” in 1996 and he received a National Association of Recording Artists award in 1997, for his independently produced album. The National Endowment for the Arts bestowed Walser with at lifetime heritage award in 2000 and he performed at the Grand Ole Opry in both 1999 and 2001. Britt, a native of Arkansas, set the American standard for country yodeling from the 1940s through the 1960s, following a tradition set in the 1930s by late great Jimmie Rodgers. Walser captured their famous yodeling styles and more from Slim Whitman, best remembered for his three-octave falsetto and his tour with Elvis Presley in the 1950s and direct television marketing in the 1970s. Whitman died in June last year. Walser used to often say that he thought of himself as a country singer who could yodel, Kalish said. “He didn’t think of himself as a yodeler because to him that was like a ‘one trick pony’ you know. When I first heard him sing, he didn’t yodel at all; I was just amazed by his voice. Then he did the yodeling and I thought my god, that knocked it up a couple of notches,” Kalish said. Whenever Walser performed at the Broken Spoke, close to 400 people would show up to see him. Walser would perform about five songs and then would invite Kalish and Keeling to each sing a few songs. He would introduce the two by saying: “You get tired of picking up diamonds,” Keeling said. Keeling performed “Blue House Painted White” and “More and More,” during the Walser tribute performance in January. Keeling received a Pacemaker that doctors surgically installed in his chest eight years ago that helps his heart keep time, he said. Walser’s drummer Phil Fajardo recently also received his Pacemaker a few weeks ago. The Broken Spoke’s owner, James M. White, joined the group’s unofficial Pacemaker club last fall. On the night of the tribute and reunion, White was home preparing for endoscopic sinus surgery scheduled for Jan. 30. It’s slightly disappointing that none of Don Walser’s children(two of which, Al and Janey, were there at most if not virtually all of his gigs, including The Grand Ol’ Opry) are heard from in the article. Hi John. I wish I had known. I would have loved to have interviewed Walser’s children for this article and for my book about the Broken Spoke as well. The book publishes this spring with Texas A&M University Press.